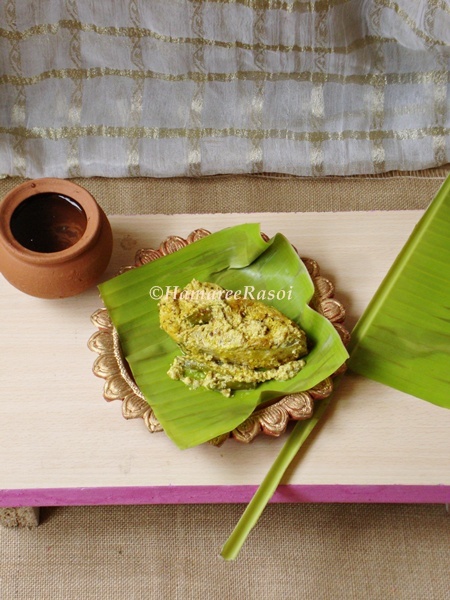 The very mention of ilish paturi makes my mouth water. 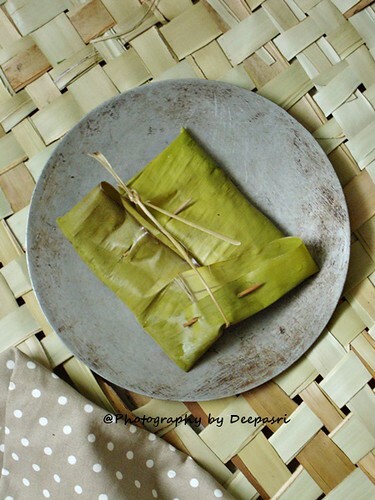 I am in love with the smell of banana leaves in which the fish is wrapped. 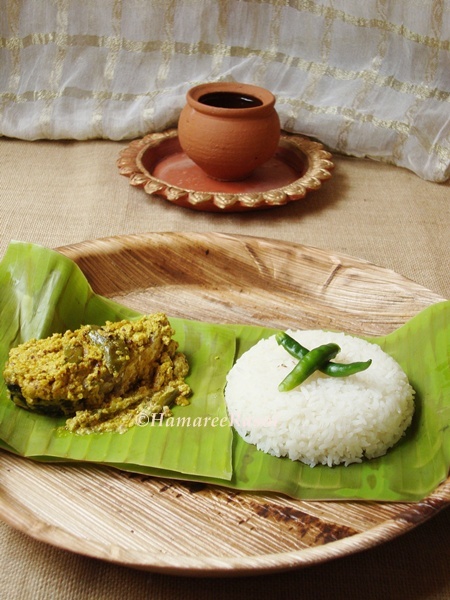 Ilish paturi when served with steamed rice is match made in heaven. 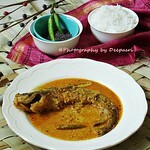 There is a saying amongst us Bengalis that there is Illish ( Hilsa Fish) and there are other fishes. In taste, aroma , tenderness and exclusivity this fish is unmatched. It does not get lebelled as the King of Fishes for nothing. It's breeding generally takes place in the Bay of Bengal & Gangetic delta having a mixture of sweet and saline water. This mixture brings about the lovely taste of this fish. Also, eating this fish requires skillful handling of the bones which challenge you to remove them without getting the harder ones getting stuck in your throat. 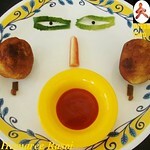 The idea is to let the chew the softer bones so that they would not bother you while eating. But one should not worry about a few bones getting stuck in the throat as they easily get digested withina short period. It's this novelty factor that has been well exploited by the Fish Mongers who till recently have hiked it's price to Rs.1100/- per kg ( Almost US$20 ). 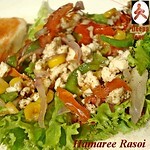 With extreme care wash ilish pieces and place them on a flat plate. 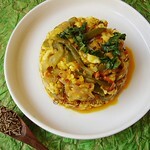 Ground to paste: Mustard seeds + Green chillies + Poppy Seeds +pinch of salt & turmeric. The paste should not be too fine but grainy. Apply this paste evenly on the fish pieces and keep aside. 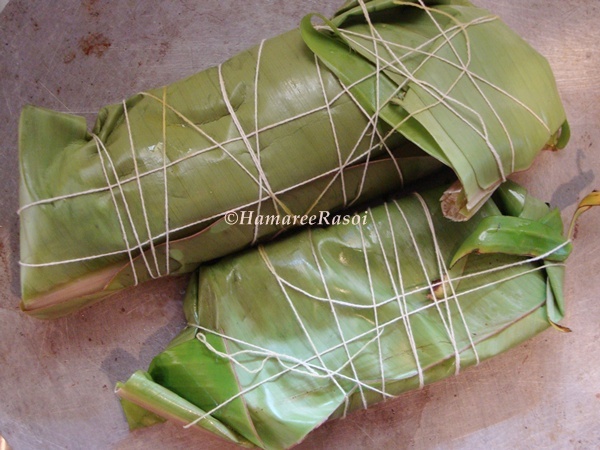 Now next step is to prepare the wraps, for that wash the banana leaves thoroughly. Soften the banana leaves over low flame by holding them some 12 inches above from the burner (this step will make banana leaf foldable). 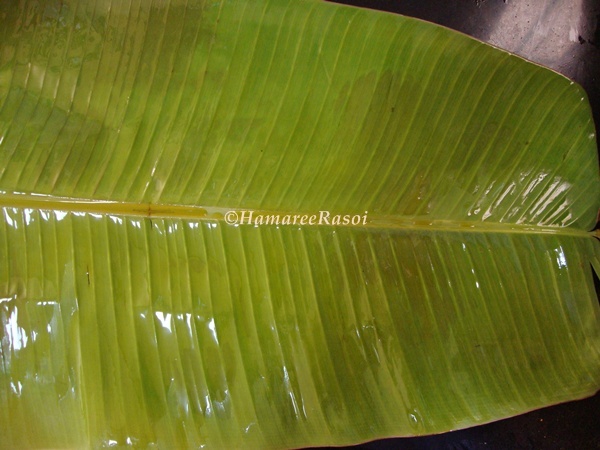 Now smear little mustard oil on each banana leaf and place one piece of fish on each leaf. You can add additional chillies and wrap into a neat packet, tie with a twine/ cotton thread. 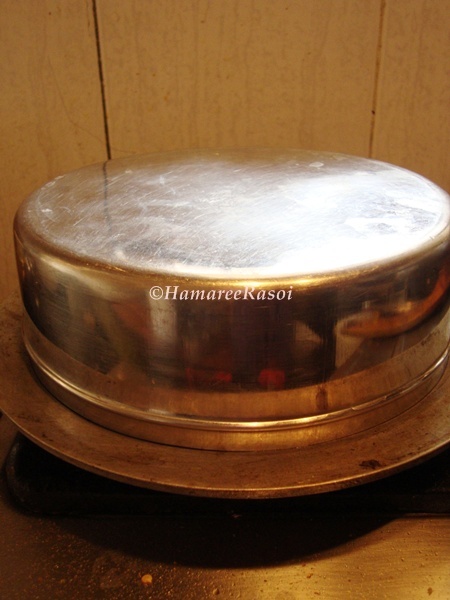 Now I followed two process here as few of my readers requested for Oven version also. So I took two wrapped parcels for Oven method. In a pre-heated Oven cook the enveloped steaks for 15 minutes on 180 Degree C.
Remaining two were done on greased(1tsp oil) Tawa on low flame, cover with a lid and cook for 12-15 minutes (in between do flip it for evenly cooking) till the green leaf starts showing some light brown patches. Let it cool a bit and then unwrap the fish by remove the thread. 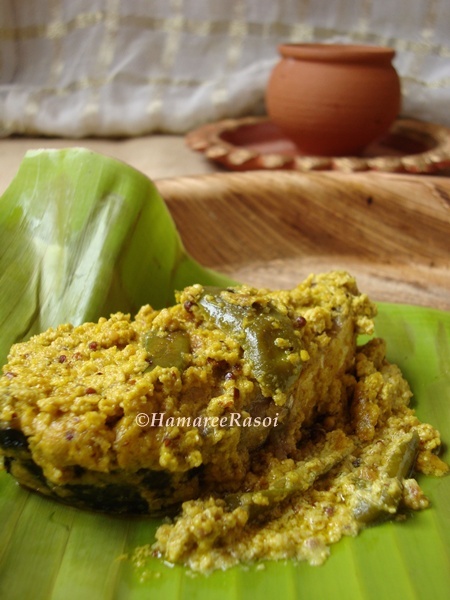 Now serve this affectionately made ilish paturi with steamed rice. To maintain the taste and flavour it is said that hilsa should not be washed for too long or dipped in water for longer period. 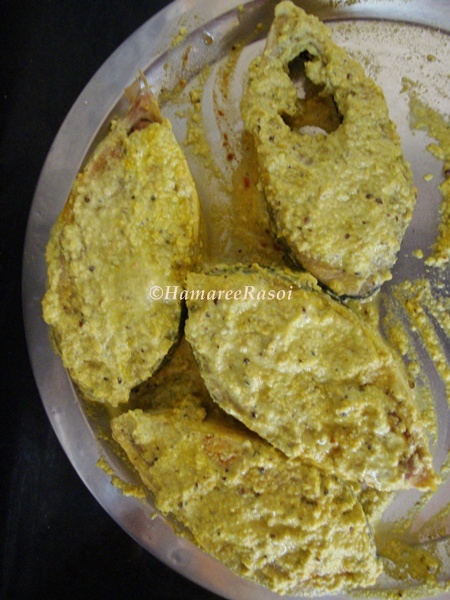 Hilsa always tastes best when cooked fresh instead of frozen ones. Just when you unwrapped the parcel, before serving many do add a tsp of mustard oil over the fish but THIS IS COMPLETELY OPTIONAL. As many ilish lovers like me enjoys the strong pungent taste which this dish brings out the best. Instead of banana leaf you can also take lao /bottle guord leaf . Awesome Deepasri! 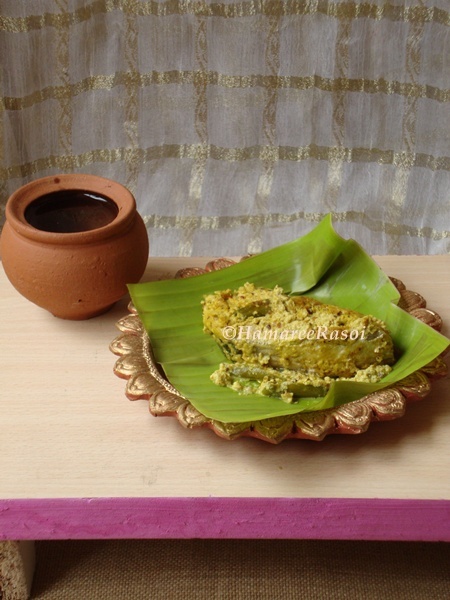 I tasted Hilsa for the first time a couple of weeks ago at Oh! 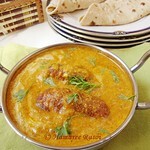 Calcutta and loved the taste! No wonder it sells at an exorbitant rate! Nice post and presentation! awesome clicks deepa.. like the way you have presented.. 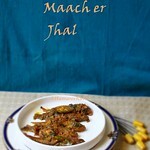 This is my hubby's favourite..we don't get Hilsa fish here in Brazil.I usually make it with some other fish for him. 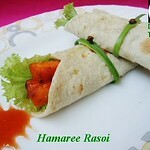 I had this at a Bengali wedding in Delhi and still remember the taste! 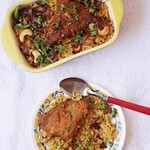 Super yummy and yes with rice a match made in heaven! 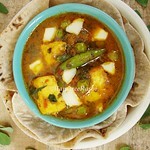 Deepa, though I never tasted this dish...i am virtually drooling here..lovely pics and well explained. 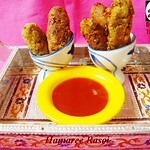 this is very new to me... you have the most amazing collection of recipes here.. love it!! Banana leaf give good flavor. Yummy taste. erom kore torture korcho kano??? dekhe jibhe chokhe mukhe sabetei jol chole elo. 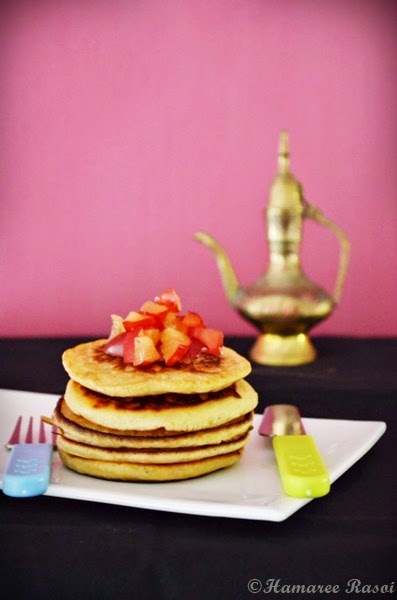 Great post and fantastic preparation,makes me drool. Irresistible and definitely flavourful, seriously i love the banana leaf smell when foods cooked in them, wish i get fresh banana leaves here. 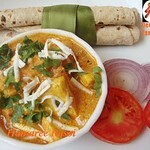 Delicious Fish curry Deepa. Banana leaves makes wonders. Mukhe jol eshe gelo Deepa. 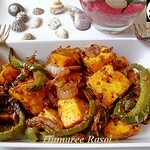 Ek bochor hote chollo ami iilish mach kheye chi :( And Paturi kheye toh koto je bochor hoye geche je count bhule gechi! erokom kore koshto ditey hoye?? ebar shottyi kola pata churi korte jete hobe je amake! 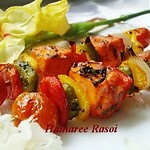 Wow...this makes me mouthwatering......wish i could grab one....looks absolutely yummy. Good effort deepa. Fish is totally tempting. Nice presentation as always. 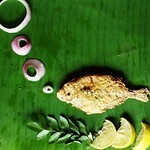 Nice photography..Fish looks so tempting when wrapped..Loved the idea.. Absolutely gorgeous! 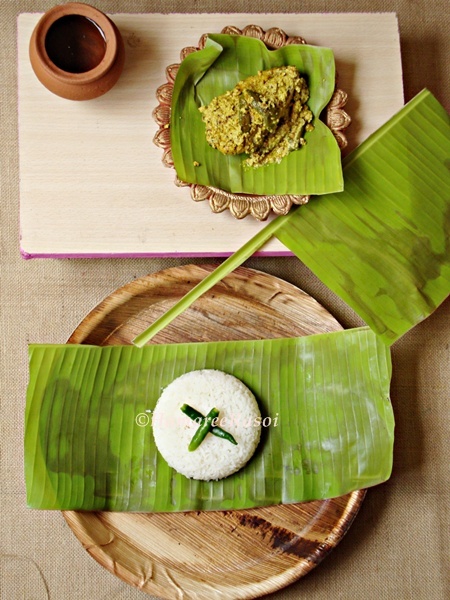 I love fish in banana leaves, never tried this green chili version. 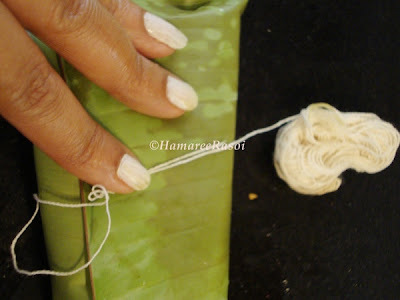 We have a different sort of preparation in Kerala, made in the same leaf though. I might steal this for you, looks so good. I envy you the banana leaves and the rice, the most! :-) Beautiful! I have had this at my Bengali friends' homes.